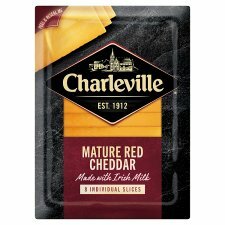 Slice a croissant in half, add thinly sliced roast ham and slices of Charleville Mature Red Cheddar. Bake until crispy and golden for a special weekend breakfast treat. To enjoy this product at its best, always keep refrigerated and use within 3 days of opening.